In today’s property market, many people are indicating a preference towards townhouse living over standalone homes. In fact, the supply of townhouses is increasing year-on-year in Australia. The idea of a townhouse has evolved over the last couple of decades. Offering many lifestyle advantages, these homes if designed correctly can be surprisingly spacious inside and definitely worth your consideration. Read on to find out more. Want a home that requires less maintenance, but don’t want to compromise on living space? Townhomes are the perfect solution for downsizers, investors and first home buyers who are too busy to maintain a larger block. Not only can maintenance be extremely time consuming, it can be expensive too! Why spend your weekend mowing the lawn? Living in a townhouse means doing away with the extra maintenance, freeing up your time and enjoying the lock and leave lifestyle. One of the biggest advantages of a townhome is affordability. Townhouse living is a more cost-effective option than a standalone house in the same neighbourhood. And for the amount of living space you get, it’s incredible value for money. So, what could that mean for you? – Enjoy some more spending money – Looking to upgrade your TV? Need a vacation? Want to put away a little nest egg for a rainy day? Choosing an affordable townhouse means you can! – Make an investment for your future – Looking to invest? Great news – townhouses give first home buyers the chance to get their foot on the property ladder. And with the $10,000 First Home Owners Grant available to eligible applicants and on eligible properties, this is a great time to start. – No strata fees – You’ll find that some townhomes (like the one’s sold by Now Living Realty) are green title meaning no strata fees.. This can save between $1,000 – $3,000 per year. Let there be light – Townhomes are designed to embrace natural light through cleverly placed windows and open living spaces. This makes the home look and feel more spacious – not to mention makes it more energy efficient in the process. More floors to play with – Think of your townhome as a chance to get creative. By building up, you can significantly increase the number of rooms and the amount of living space in a fun and functional way. Want to see for yourself? Let’s look at one of the newest townhome developments in Perth brought you by Now Living Realty! 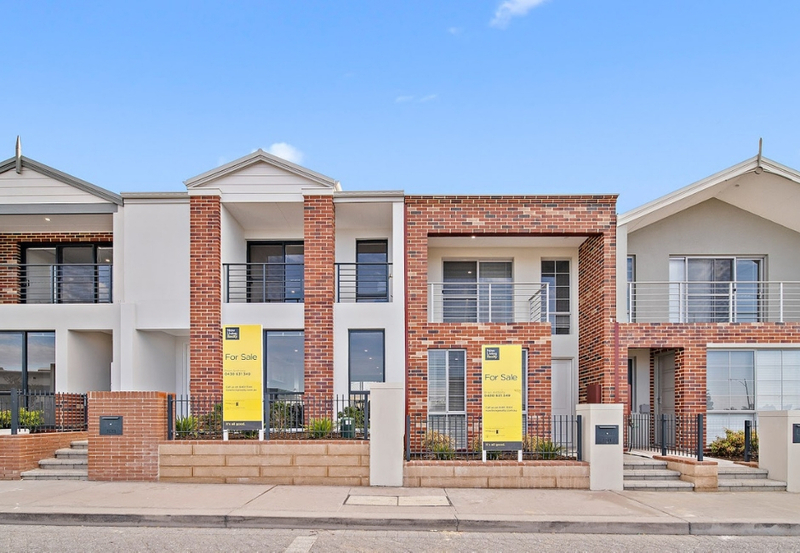 Introducing our New Townhouses in Ellenbrook! Welcome home to Fruin Loop and Ellen Stirling Parade in Ellenbrook. Now Living Realty are excited to announce the launch of our newest townhouse development in Ellenbrook, offering a unique twist on townhouse living. Suited to downsizers, first home buyers and investors, not only are these homes green titled, meaning no strata fees, they’re also eligible for the $10,000 First Home Owners Grant. But hurry, 3 have already sold! Want the best of both worlds? Choose a townhome! Now Living Realty can help make your homeownership dreams a reality in one of the most luxurious locations in Perth. Contact our team today to talk all things townhouse living.